Home / Cars / crime / developments / Robberies in Azaiba, and Salam Yiti. Robberies in Azaiba, and Salam Yiti. Yesterday the news finally broke officially that Omran will be taking on a larger role in the development of the stalled Salam Yiti project. This has been an inevitable development ever since Sama Dubai shelved the project two years ago. The original Contractor on the project, Douglas OHI, will presumably have to re-tender in a competitive bid process along with everyone else who chooses to tender on the project. It'll be good to see the waste-land that Yiti currently is developed into something not so ugly - construction on site is tipped to start again in Q1 2011. I've recently been informed that there are thieves operating in the Azaiba area (again). 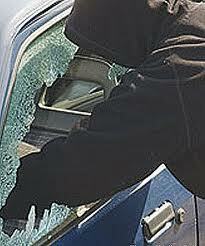 Car stereos, ipods, bags, anything in cars seems to be the target this time. Even the face plate off of a car stereo was taken in one case. Be sure to lock up, and hide anything of value from view. I live in that area. :( Hope somebody catches them before they do any more damage! You reckon Wael will take over from Rajiha as Minister when she steps down in the near future? Might be what the MoT and Omran needs as it currently doesn't seem like one hand knows what the other is doing.